Corporate, M&A, Capital Investment is a core practice of Gordon S. Blair and our experts have experience representing public and private companies, investment banks, private equity firms and other investors in complex M&A transactions and provide ongoing advice and guidance on all corporate law matters. Our team is regularly involved in cross-border transactions and/or group restructuration in relation with structures located in Monaco and France. To ensure that our clients receive the comprehensive service they need, professionals from our other practice groups, such as tax, employment law, real estate, commercial law and IP/IT, regularly second and support the M&A team. 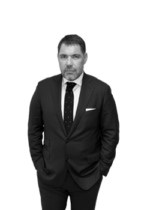 David is a seasoned corporate lawyer with strong expertise in complex negotiation processes. His pratice is primarily focused on advising private corporates and notably, family businesses. 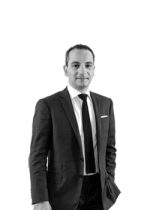 He regularly assists his clients with their key investments and development projects whether in France or abroad and provides assistance with the management of shareholders’ and financial partners’ relationships. In addition, he is a leading market player in the structuring and negotiation of management packages. David also has extensive experience in the media industry notably, print media. He was a board member of the following press companies : SOCPRESSE (Le Figaro, L’Express…), LA VOIX DU NORD and NICE MATIN.